At the on-going Computex 2017 in Taiwan, Asus has revealed an array of laptops. 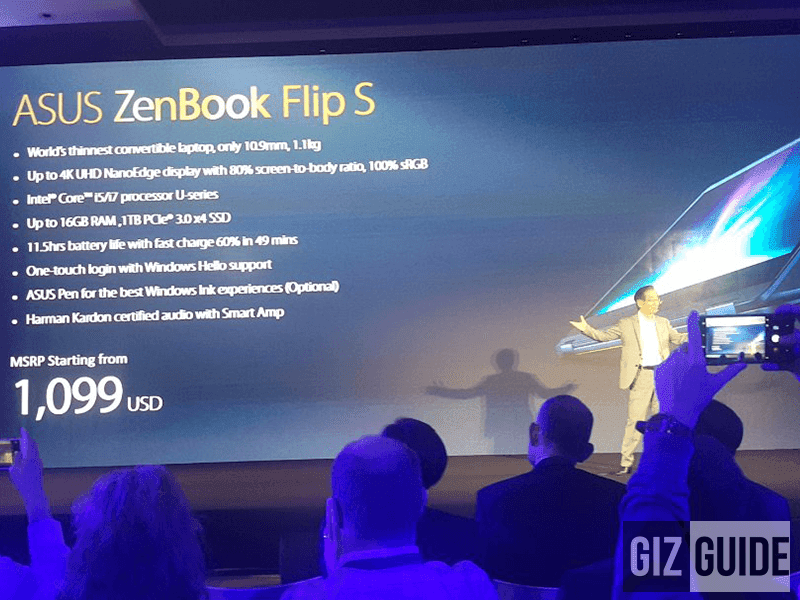 One of them is the highly interesting and sleek looking ZenBook Flip S.
The Asus ZenBook Flip S is also dubbed as the slimmest ultrabook convertible in the world at 10.9 mm. It is 55% slimmer than the MacBook and 20% slimmer than the MacBook Air. It has a 3.9 mm slim durable alloy and weighs at 1.1 Kg. The ZenBook Flip S has a 13.3 inch NanoEdge 4K UHD touch display with with 6.1 mm bezel that's equivalent to 80% screen to body ratio. It's paired with an optional Asus Pen with 1024 10 - 300 g pen force and an array of microphone for Cortana integration. See also: Asus VivoBook S Is A Budget Notebook With A aPunch, Price Starts At Just USD 499! The ultrabook is powered by either 7th gen Intel Core i5 or i7 processor clocked at 3.5 GHz, 16 GB RAM, 1TB SSD, 39 Whr battery with up to 11.5 hours of usage, fast charging tech, and Harman Kardon audio technology with Smart Amp. 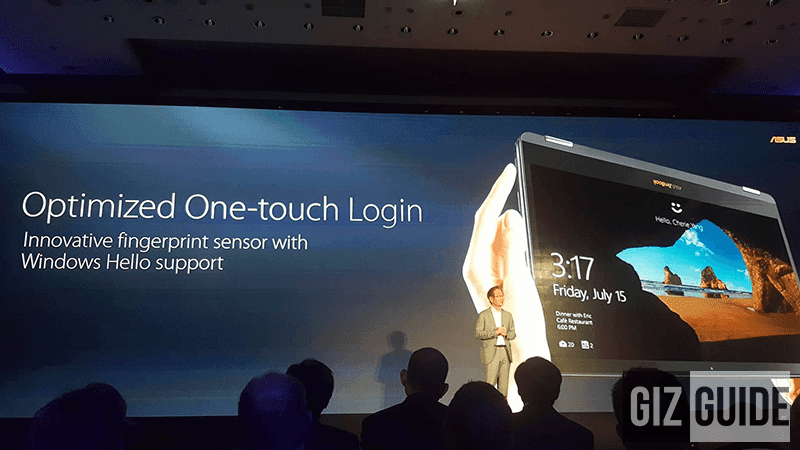 It also has one touch login with Windows Hello support. Price starts at USD 1,099 or PHP 54K.